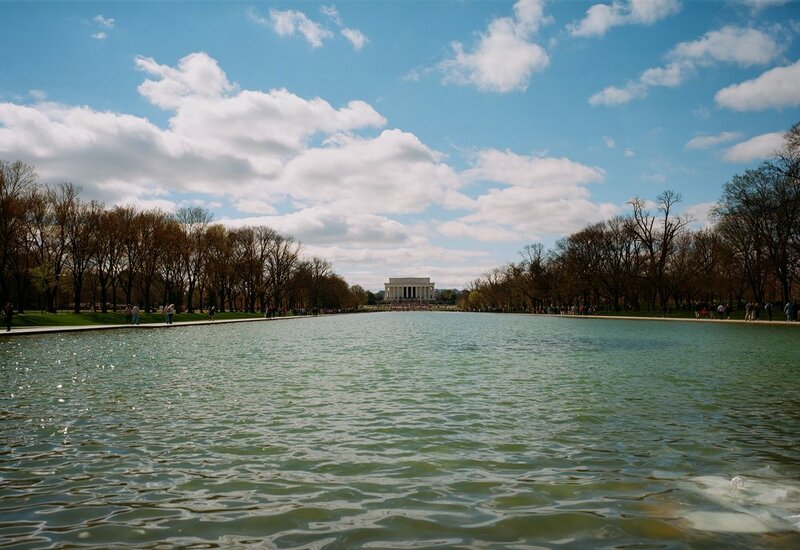 Ah, my last roll of March was in color and shot on medium format. My wife and I had taken the metro down to the National Mall to catch the annual kite festival, an ideal subject for color film, especially Kodak Ektar, which gives great saturation to primary colors like blue, red, and yellow. You see this in the first shot in this batch, of the Washington Monument with surrounded by kites and flags. That is my favorite photo from this roll. 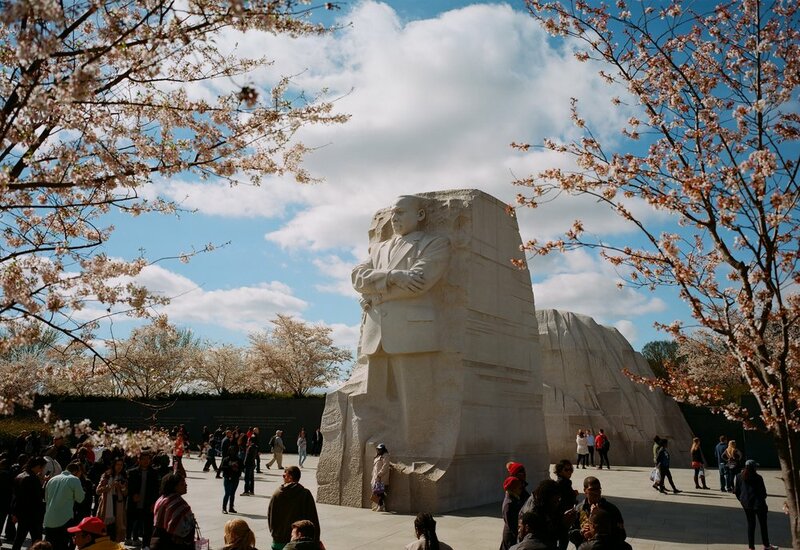 The best photo, I think, is of the MLK Memorial. It's a different perspective than the black and white shot from earlier. This one captures the scale of the memorial as it compares to its surroundings. And the cherry blossoms that border and frame it are a nice touch. Obviously I'm a fan. What do you think?